You’ve probably heard talk about the mysterious ailment that’s been killing off bee populations over the last few years. Maybe you remember the misleading “Cell Phones Kill Bees!” stories that made their rounds on the internet last year, maybe you saw Bee Movie on HBO, or maybe you haven’t heard anything at all, but at any rate, the bees are in trouble. Since 2006, honeybee populations in North America and Europe have experienced record fatalities, averaging around 30% of farmers’ total populations. In 2012, these numbers drastically increased to somewhere between 40% and 50% on average, and now two new studies link the trend, known as Colony Collapse Disorder, to an increasingly widespread group of pesticides called neonicotinoids. Great news for everybody who hates fruit, honey, and flowers. The term Colony Collapse Disorder came into use late in 2006 and describes the abrupt disappearance of bee colonies that drastically spiked around this time. Known by many names throughout the history of beekeeping, the phenomenon has only become significant in recent years, prompting the publication of the “CCD Action Plan” by the USDA back in 2007. The plan called for increased research into the causes of the disorder, the primary goal being the mitigation and prevention of its spread. A bee colony that meets the criteria for CCD typically is characterized by a number of simultaneously occurring conditions: an abandoned hive with capped brood (unhatched larvae), abundant food stores, and the presence of the queen bee, all of which suggest the abrupt and unplanned disappearance of a hive’s population. Where the bees disappear to is usually unknown. Since gaining widespread attention, a number of potential factors have been proposed as the cause of CCD. In response, the U.S. Colony Collapse Disorder Steering Committee published its first annual report in 2009 addressing the issue, concluding that “it now seems clear that no single factor alone is responsible for the malady,” citing pathogens, parasitic mites, and elevated levels of pesticides as potential contributing factors. Other theories have targeted migratory beekeeping practices, malnutrition, and electromagnetic radiation, the last of which became the source for the exaggerated claims that cell phone radiation was killing bees. In fact, the original reports that tested bees’ reactions to phone radiation merely noted increased aggravation with prolonged exposure, not death. Still, its possible influence on CCD should not be discounted. On March 13 and 29, two new studies were published that cite neonicotinoids, a powerful group of insecticides, as a strong contributing factor in CCD cases. Developed and introduced in the late 1990s, neonicotinoids, particularly the Bayer-developed imidacloprid, are some of the most widely used insecticides in the world. The pesticide (which is also toxic to mammals), can be administered in a number of ways: by soil or tree injection, by application to the skin of the plant, via treated water, or as a pesticide-coated seed treatment. Since 2005, use of imidacloprid has greatly expanded, roughly coinciding with the observed increase in bee fatalities in North America and Europe. The aforementioned studies exposed bee colonies to low doses of imidacloprid and allowed the hives to naturally progress. “Treated colonies had a significantly reduced growth rate and suffered an 85% reduction in production of new queens compared with control colonies,” concluded one of the studies. Even worse, “15 of 16 imidaclopridtreated hives (94%) were dead across 4 apiaries 23 weeks post imidacloprid dosing,” concluded the other. In addition to these studies, the European Food Safety Authority has also published its own report on CCD, echoing the high risk neonicotinoids pose to bee populations. The USDA will issue its own assessment in May. The CCD problem is one that affects not only bee farmers and honey enthusiasts, but everyone. The number of crops that rely on bees pollination are staggering. Some of the highlights include kiwi, onions, broccoli, watermelon, strawberries, apples, avocado, cocoa, vanilla, and grapes, among many others. 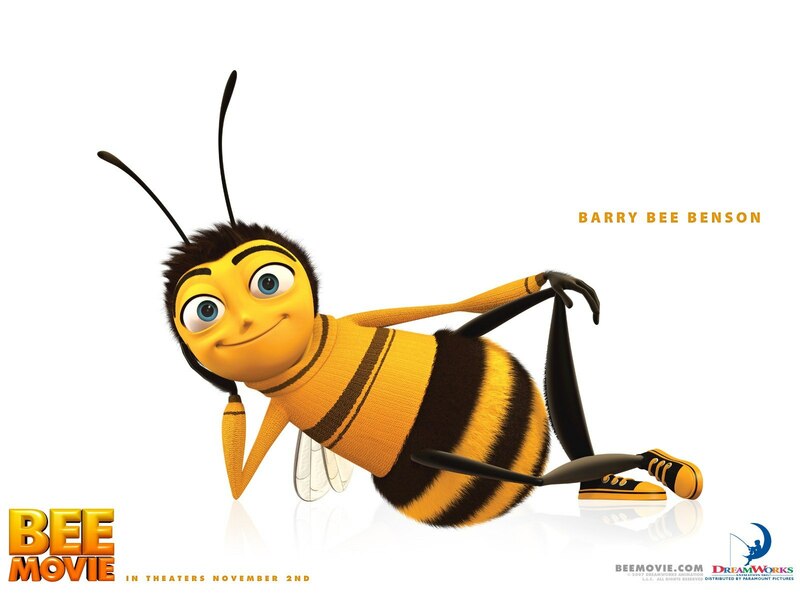 If you’ve seen Bee Movie you know what I’m talking about. Around one quarter of America’s food supply depends on honeybee pollination and these losses stand to seriously affect the price of food. For the consumer. Although these studies are only the first in what is sure to be many to follow, their conclusions already make a compelling case for the discontinuation of neonicotinoids. And while we know there isn’t just one solution to the CCD problem, this is certainly a great place to start.